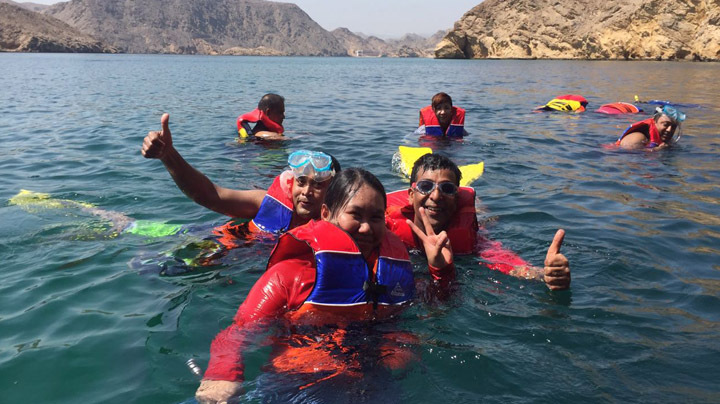 Discover the secrets of Oman’s under water realm with Ahlan Arabia Tours .Bandar Khiran, a secluded cove just 25 minutes boat ride from Muscat offers a wide variety of fish, colorful coral reef and large number of mangrove trees that form a sanctuary for lobsters, shrimps and other fish. 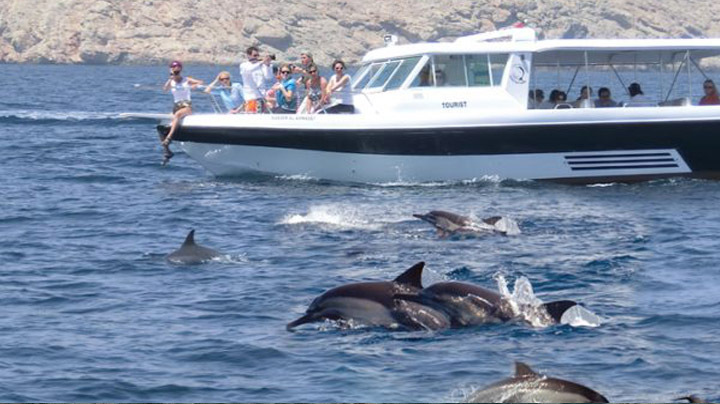 You can swim over, among exotic tropical fish and other reef dwellers on our ecological under water safaris. The crystal waters allow snorkelers unrivalled and unobstructed views of the abundant under water life. Transfers from the hotels/ Snorkeling equipment, Light refreshment on board. Minimum passenger : 2 nos.